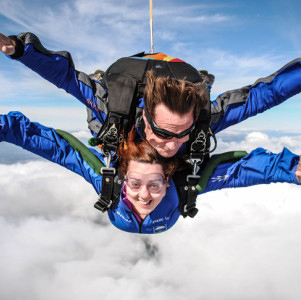 Feel the rush of free-falling from 13,000 ft with the home of skydiving, Irish Parachute Club. Freefall will last approximately 30 secs before the giant canopy made for two is opened at 5,000ft. This experience involves 20 mins of training and a skydive from 13,000 ft. This experience lasts approx 1 hour in total. Expert tuition and equipment is provided. Minimum participant age is 16 years. Maximum weight 19 stone. Medical requirements apply. This experience is weather dependent. This voucher is valid for one person with a tandem instructor. 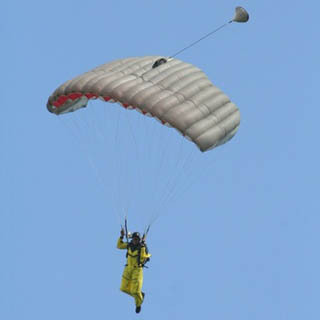 Irish Parachute Club is located in Clonbullogue Airfield, Clonbullogue, Co. Offaly. 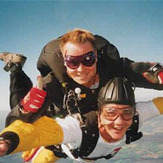 Irish Parachute Club operates year round with weekend availability only. Advance booking on AllGifts.ie is required.